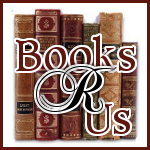 Ginger High- Books R Us: JOIN THE PUREX INSIDERS COMMUNITY AND GET SOME GREAT BENEFITS! JOIN THE PUREX INSIDERS COMMUNITY AND GET SOME GREAT BENEFITS! Do you own a blog and love to learn about new products and promotions then join the Purex Insiders! Be a part of the #1 blogging community. I have received some great FREE products as a Purex insider and all I have to do is share with my fellow readers my opinion of the product on my blog and via social media. So would you like to join this fantastic group then join the Purex insiders and interact with a great bunch of bloggers.